It’s September, which means it’s time for business owners and marketers to start planning their holiday marketing plans. While it’s important to have the best products that customers want, this matters less in the age of online shopping since there is probably another online vendor selling the same thing. A recent survey by Valassis examined what matters the most to modern shoppers and how businesses can adjust their tactics accordingly. In a survey of 8,550 consumers, Valassis found that shoppers prioritize saving over everything else and that many consumers will make time to uncover the best deals they can find both online and offline. The survey found that a majority of shoppers spend hours each week searching for deals. More than half (53 percent) of the survey respondents reported spending more than two hours a week looking for deals and savings from all sources. Mothers and young adults are even more focused on finding the best deal. According to the survey results, about 25 percent of millennials and moms spend over four hours a week in their search for value. The search for coupons isn’t limited to online retailers. Two out of five (41 percent) of the survey respondents said they use an equal mix of print and digital coupons to find savings. This mix of discount format goes both ways. 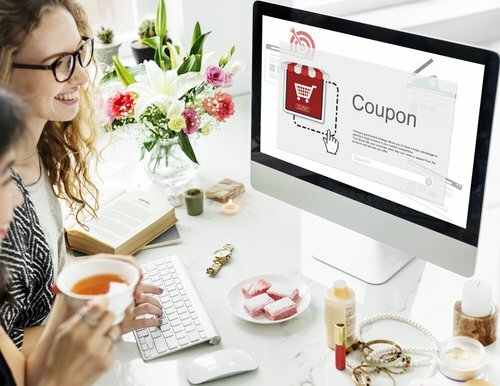 People will use coupons they find online at the in-store retailer and people can be led online by deals they see in print. According to Valassis, more than half (52 percent) of the survey respondents said they print out digital coupons for use in stores. Similarly, 71 percent said they would use a featured coupon code from a print advertisement to buy online. This creates a lot of opportunities for marketing, which is something Valassis remarked on. The survey also shows that the expanded use of coupons should be a continually growing trend. Compared to results from last year’s survey, consumers are ordering more items online for home delivery (31 percent) and for pick up in store (15 percent). Shoppers are using more print coupons (57 percent) compared to last year. And mobile coupons and apps are growing in popularity. They are used by 42 percent of the general population. And that figure rises to 55 percent for affluent shoppers and 52 percent for millennials. This Valassis research may confirm what we already knew, that people like coupons, but it’s a good reminder with the biggest shopping season of the year coming around the corner. It’s important for marketers and business owners to create engaging offers and to find innovative ways to get that information to consumers. For more research that can help business owners, read this article on the benefits of mobile marketing.